I’ve been playing for a lot of years and have been teaching in music stores and schools for over 25 years! I play in several bands and duos around Madison. New CD here: BillRoberts.HearNow.com. Blues Rides Shotgun — My New CD! I am proud to announce my new CD Blues Rides Shotgun. We had a great time making it and I invite you to take a ride with smokey blues, spaghetti western instrumentals, rootsy ballads, and some rock and country. Our CD release party is at the Brink on June 9th! Get more details about the Bill Roberts CD Release Celebration. You can download it off of CD baby and soon you can get it on iTunes. Click on the link to hear previews! Dive into the musical imagination of Bill Roberts! Not only is Bill a guitar virtuoso, but he is also an unusually creative songwriter — a rare combination! 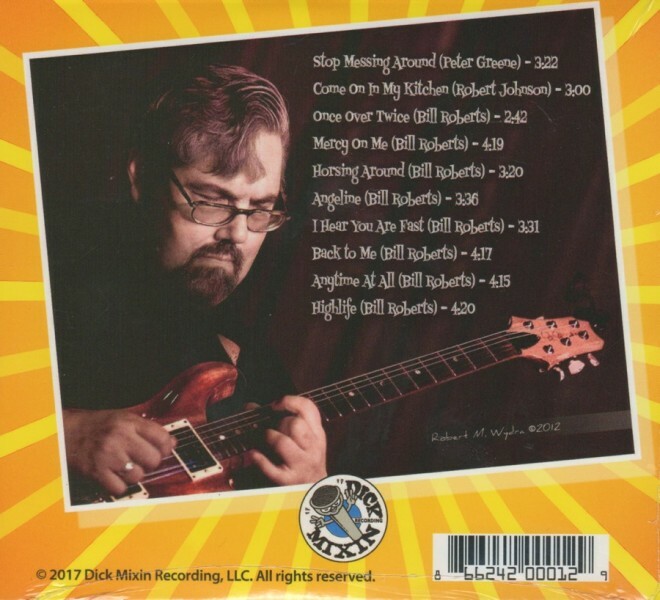 This CD compiles some of the finest tunes Bill has composed over the last 30 years, as well as a couple of his favorite blues covers. Backed by a top shelf collection of session musicians, this album is a soulful collection of blues, rock and a dash of country. It will hold your interest from start to finish. The Bill Roberts Combo: is it jazz-blues or blues jazz? We are reuniting these styles in a savory combination of tasty licks and appealing musical presentations. Featuring one of Madison's finest guitarists, Bill Roberts, this group serves up a healthy entree of hot jazz-blues guitar, with side dishes of soulful bass, spicy piano, delicious beets (beats), and often topped with sweet sweet saxophone. Are we carrying this food metaphor too far? Yes. Yes, we are. Come get a taste of the real thing at a venue near you.  Thanks for visiting my ScratchBang page and for supporting musicians and artists on ScratchBang! I have been playing for, ahem, a lot of years now and have inevitably learned a few things along the way that I would love to pass on! In fact, I have been teaching in various music stores and schools for over twenty five years! I specialize in teaching improvisation and blues and jazz in particular, but love most styles and love teaching beginners! I have played with many Madison luminaries including Clyde Stubblefield, Butch Vig, Duke Erickson, Ben Sidran, pat mAcdonald, and Milwaukee jazz great Chuck Hedges. These days, I play in several bands and duos all around the Madison area. I have done a lot of studio work for various artists some of which has been played on national TV and radio and have played on loops for a major computer company’s home studio software. Check out my posts for some examples of my playing for you to listen to. 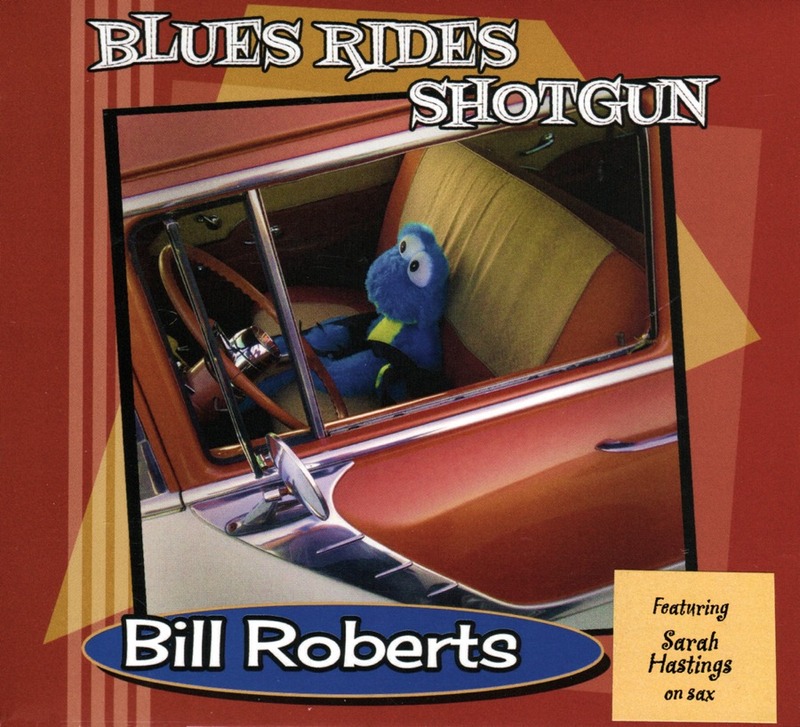 And be sure to check out my new CD, Blues Rides Shotgun. Pick up a copy and give it a listen. Here’s my bio on the Madison Blues Society website, written by Nancy Miller. Listen to Blues Rides Shotgun at BillRoberts.HearNow.com!